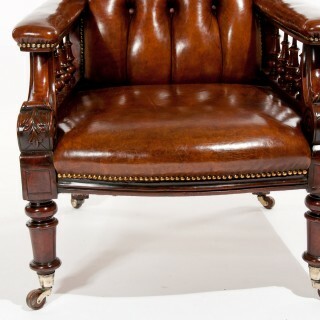 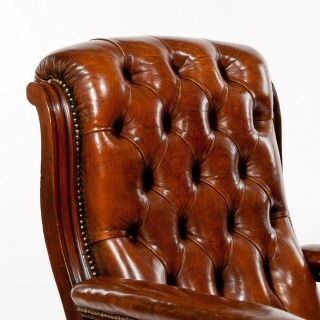 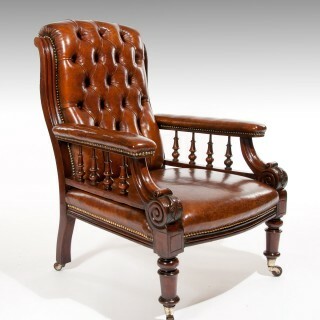 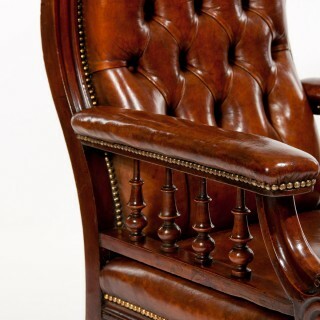 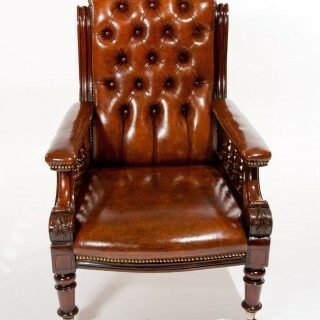 A good quality antique 19th Century Victorian mahogany armchair / library chair upholstered in a tan leather. 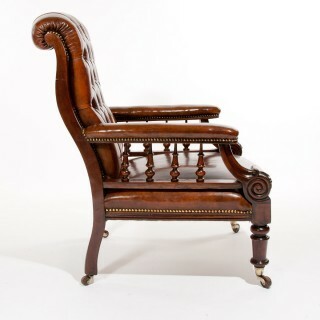 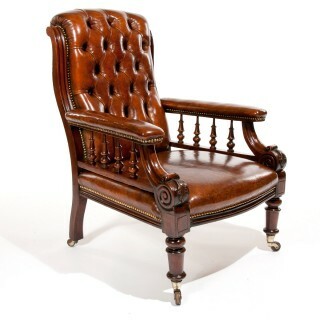 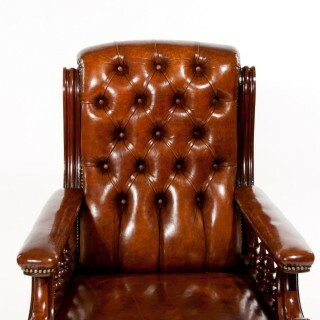 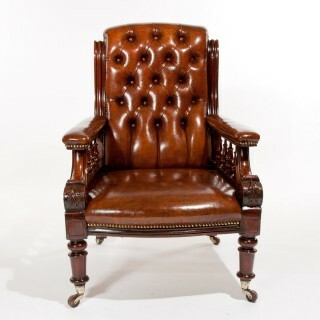 This good quality antique leather armchair has a beautifully buttoned back flanked by reeded S shaped supports which flow down to the padded leather upholstered arms supported by mahogany turnings and front scrolls with carved acanthus leaf decoration. 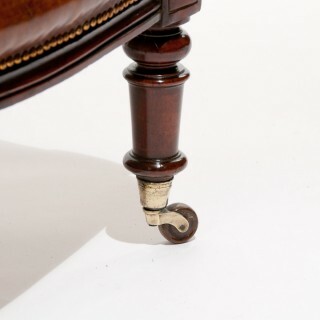 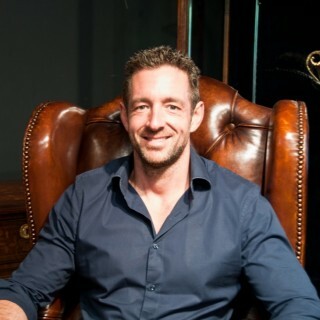 Having a soft leather seat being surrounded by brass studwork this fine Victorian leather chair is raised on rear splay legs with turned front legs terminating on brass cup castors. 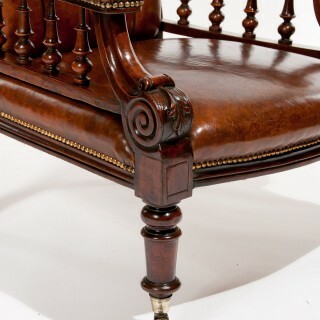 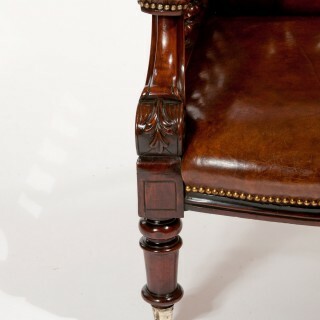 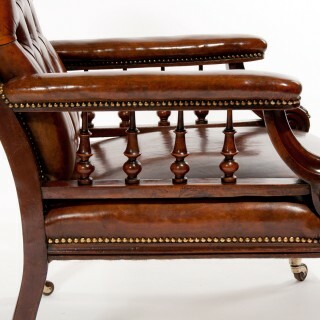 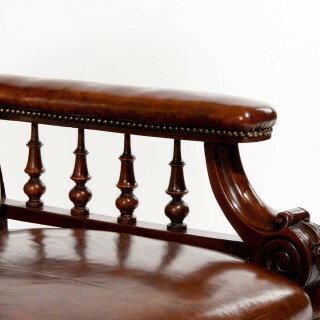 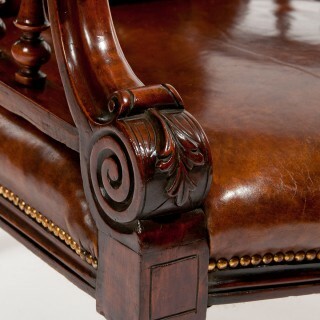 In excellent condition, the leather has been fully nourished and waxed with the woodwork being polished using traditional methods to a fine colour. 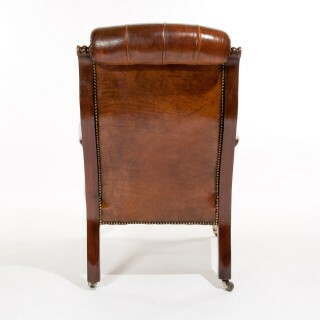 A good example of a 19th-century gentleman’s armchair.